The plant is expected to be operational by 2022 and supply electricity to 700,000 homes. 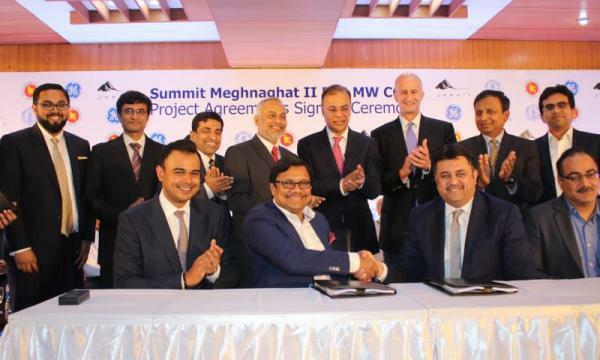 Summit Meghnaghat II Power Company Limited (SMIIPCL), a subsidiary of Bangladesh’s Summit Group, has signed a 22-year power purchase agreement (PPA) with the Bangladesh Power Development Board (BPDB). It will co-develop with GE Power a 583MW combined cycle gas power plant near Dhaka, an announcement revealed. SMIIPCL also signed other agreements with the Government of Bangladesh, Power Grid Company of Bangladesh (PGCB), Bangladesh Petroleum Corporation (BPC), and Titas Gas Transmission and Distribution Company Limited. The power plant is expected to be operational by 2022 and generate the equivalent electricity needed to supply up to 700,000 homes in Bangladesh. Summit and GE Power signed the equipment and engineering, procurement, and construction (EPC) scope of the project in 2017, whilst the services agreement was signed in 2018. Together, the two agreements are worth approximately $390m.